New Delhi: The Supreme Court on Monday asked petitioners in a public interest litigation (PIL) related to the finance ministry and the Securities and Exchange Board of India (Sebi) to withdraw their case as it was focused on weak allegations against the government. 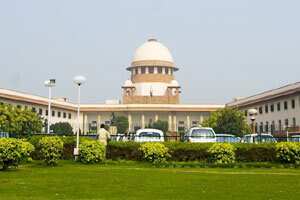 Counsel for the petitioners, former solicitor general Gopal Subramanium, agreed to withdraw the PIL and file it afresh. The court said what was being argued by Subramanium was different from what the petition contained. The PIL alludes to impropriety in making appointments to Sebi, thereby hampering its independence and ability. Subramanium’s submissions were on constitutional law and regulatory independence at large. Chief Justice S.H. Kapadia’s bench said, “We expect proper (written) pleadings in a matter where constitutional doctrines are sought to be invoked, particularly with respect to regulatory independence." This is the second time the petitioners, all of whom are former government and military officials, have been asked to file a fresh petition. Kapadia said it would be the last time the court would grant the petitioners time. The petition was previously withdrawn after direct unfounded allegations were made against finance minister Pranab Mukherjee. On Monday, the court took exception to the petition, saying it was virtually the same document minus the name of the finance minister.